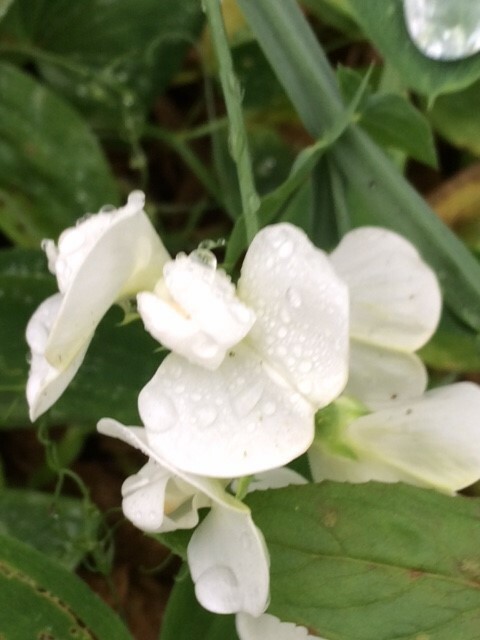 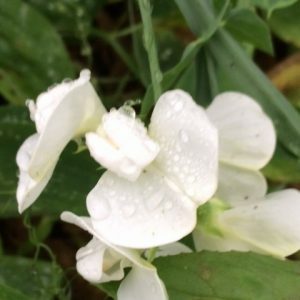 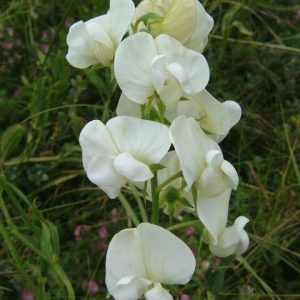 Lathyrus latifolius alba P White form of the Pink Everlasting Sweet Pea Sun. 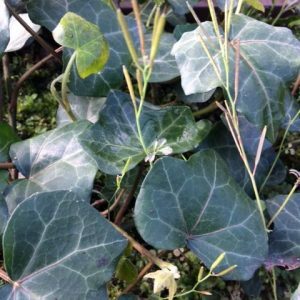 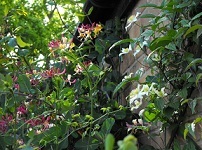 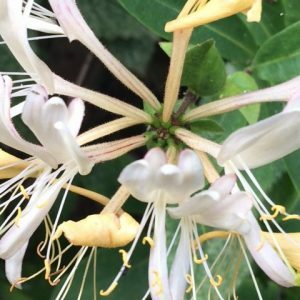 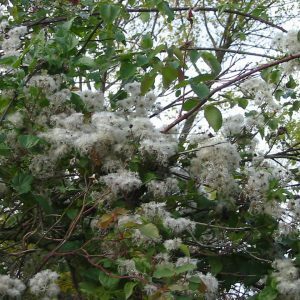 grows to 120-150 cm, can be grown as a climber or allowed to scramble over banks and slopes. 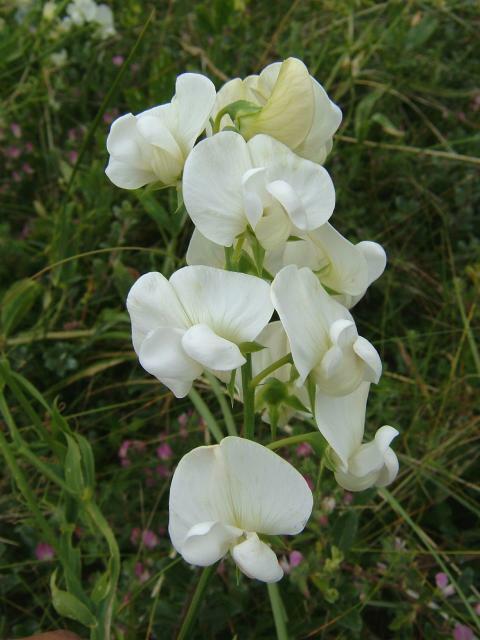 copes well with sun or partial shade in fertile well drained soil flowers July-September.